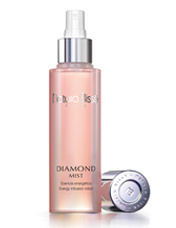 Description: Natura Bissē’s Diamond Mist awakens the skin with its light texture and energizing formula. Lavender oil revitalizes and hydrates while bio-energetic properties stimulate cells and increase regeneration. The alcohol-free product is perfect on all skin types and will protect the skin from any environmental aggressors.